As part of STINAPA’s ‘Connecting People With Nature’ campaign, biologist Caren Eckrich and outreach coordinator Diana Sint Jago led a birdwatching excursion to Goto on Saturday September 10th. 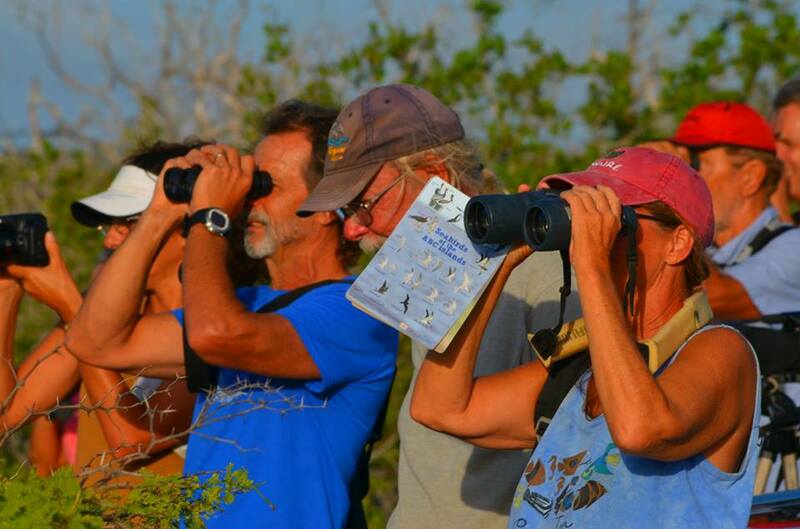 Most of the 18 participants were beginner birders and were eager to learn more about the birds of Bonaire and understand more about bird behavior. 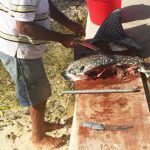 During these excursions, STINAPA loans out binoculars and bird identification cards so that the participants are able to find each particular bird and identify it. This excursion to Goto was aptly timed as September is the beginning of the migratory season and there were plenty of birds to observe including sandpipers, plovers, yellowlegs, stilts, terns, herons, pelicans and flamingos. Ruddy turnstones were busy flipping stones in search of food and pelicans were plunge-diving. It was as if they were putting on a show just for our birders! As the excursion drew to a close and the sun was setting, a Chuchubi (tropical mockingbird) entertained the group with its melodious song.